The head of the Entertainment Software Association, Michael Gallagher, will be meeting with vice president Joe Biden on Friday as part of the U.S. Vice President's efforts to find sensible actions that could avert future tragedies like the Sandy Hook Shooting. The ESA confirmed the meeting but did not offer any further detail about their expectations for their chat with Biden. The ESA is the U.S. gaming industry's lobbying group. Most major publishers, including EA, Take Two, Sony, Microsoft and Nintendo are members. The ESA stages the annual E3 trade show and also successfully defended the industry at the U.S. Supreme Court a couple of years ago, protecting games' status as protected speech. 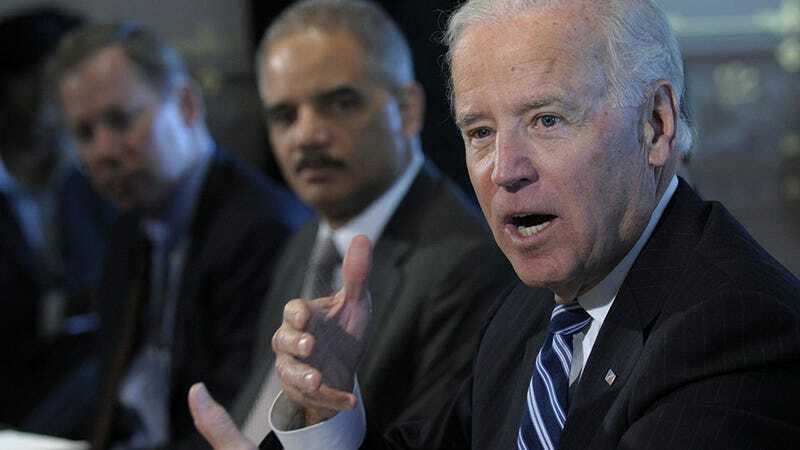 On Tuesday, Reuters reported that "Biden's task force is examining legislation that would ban assault rifles, but is also looking at the role of violent movies and videogames in mass shootings and whether there is adequate access to mental health services." Biden met with members of the National Rifle Association today. In reaction to the Sandy Hook massacre, the NRA has called for armed guards in every American school and has vilified the gaming industry as a "shadow industry" that "sows violence against its own people." We reached out to representatives from major gaming publishers yesterday to find out who was invited to meet with Biden and who was taking up the offer. Nintendo and Microsoft referred us to the ESA. Sony, EA and Take Two did not respond to our inquiry.